It's Friday and the #JuraSynchroAwards ceremony is back. We went through social networks looking for 5 photos about synchronized skating. In the menu today, abs on fire, smiles and 3 other categories. We start with the category "Smile" attributed to the Northernettes Synchronized Skating (USA). This week we also inaugurate the category "Photo Shooting" with Hermines from Brest in France. Still impressive, the "Death Spirals" are made this week by the Adult team Sisu Synchro from Canada. We end with the category "Share The Emotions". This photo from SynchroCas shows the Team Kometa Praha (Juvenile) after their first place at the Synchro Cup Pardubice. Have a great weekend everyone and good luck to the teams who're competing! 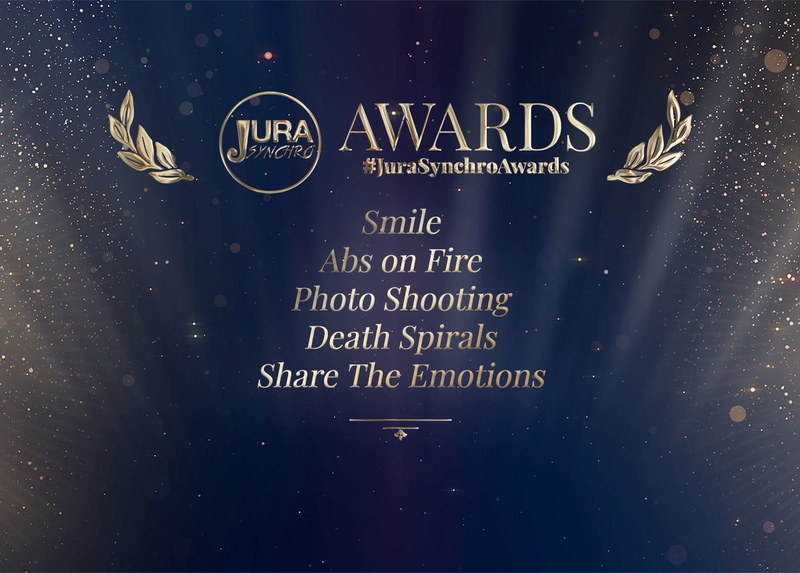 See you next Friday for a new ceremony and by then, do not hesitate to use the #JuraSynchroAwards when you post your pictures!